A free card game in the vein of Magic, but inspired in the lore of Warcraft. 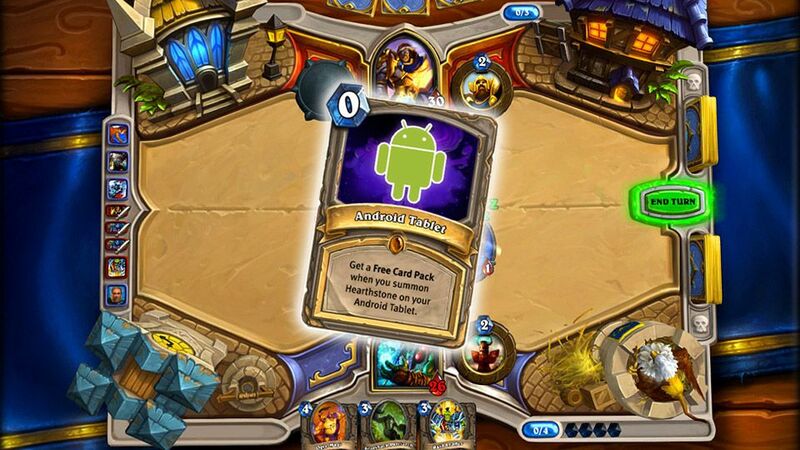 Hearthstone is one of the most popular videogames of the collectible cards genre for Android and mobile devices in general. You can build up your deck and use heroes, monsters and magics from the Warcraft universe in epic card battles. 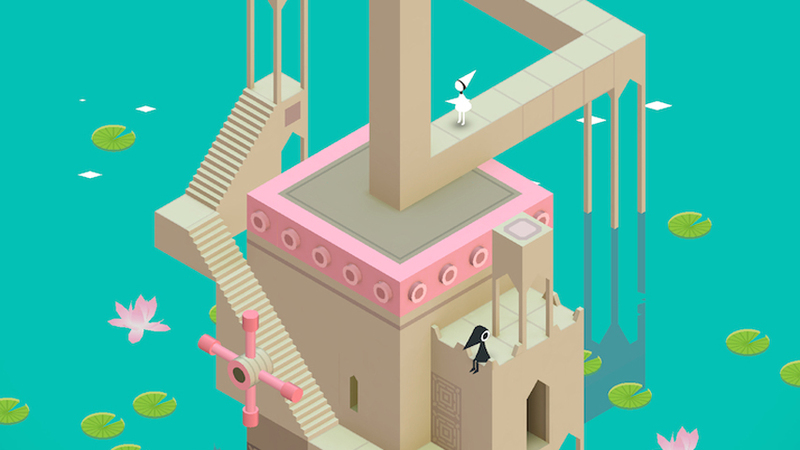 This incredible and beautiful game is one of the most addictive puzzlers of the last years. Not only you have to resolve beautiful and complex puzzles, but you get to enjoy a world of optical illusions and wonders directly in your Android phone. An intriguing adventure game that uses the swipe-right-or-left structure from Tinder. 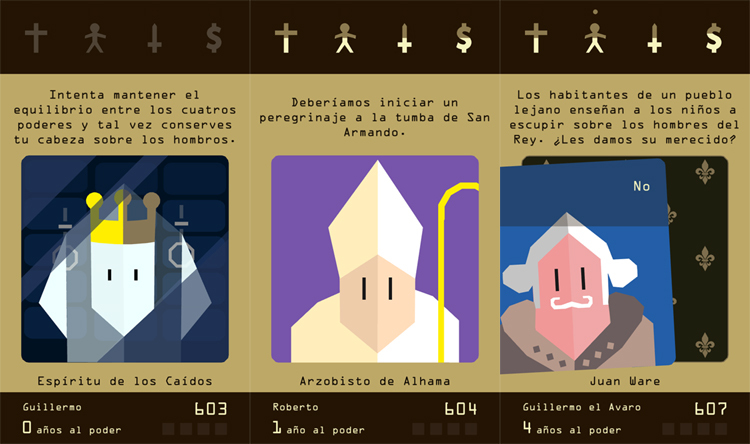 Reigns is a story about politics, palace secrets, betrayals and power. As you advance in the story, you will learn about several kings, some of them loved by the people, some of them hated. You can be either of them, your decisions will make your downfall unique. 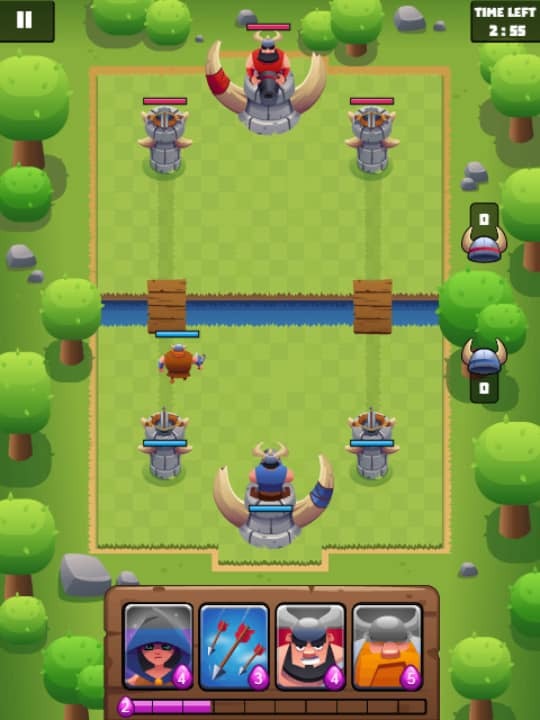 Clash Royale is the sequel of Clash of Clans. It is a game that combines elements from DotA 2, tower defense and a deck building gameplay to offer a great experience for those who love videogames on the phone. Defeat the rival army and become the leader of a powerful army. 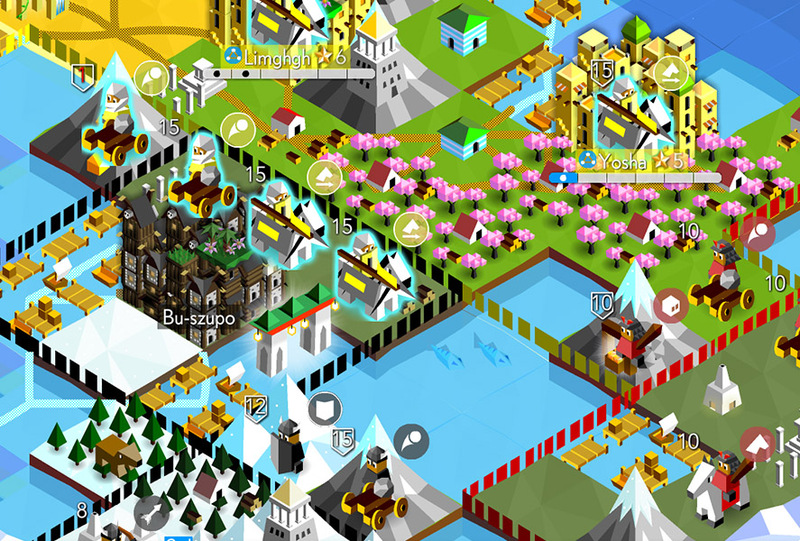 Polytopia is the best turn strategy game for mobile phones for your Android. A colorful and dynamic experience where you can build up your own empire from zero in order to become the greatest leader of the world from your comfortable chair. This entry was posted in Games and tagged Android games, Clash Royale, Reigns, The battle of Polytopia by Juan Martínez (Google+). Bookmark the permalink.